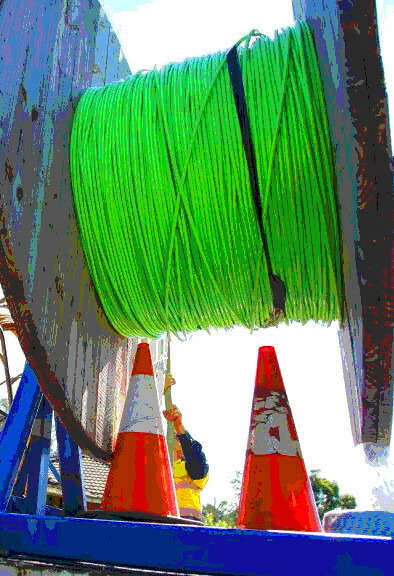 NBN Co is moving to kill off 12Mbps broadband plans, pushing users onto more expensive deals. NBN Co is tightening the screws on the 25 per cent of its user base that have not yet upgraded to more expensive plans. The company is making existing services even more congested or costly as part of a year-long campaign to make the 12Mbps broadband services uneconomical. NBN Co is scrapping a bandwidth discount that allowed retail service providers (RSPs) to sell largely uncongested 12/1Mbps services on the NBN at a cheap price. NBN Co’s connectivity virtual circuit (CVC) bandwidth charge has been deemed an artificial constraint on NBN performance. Millions of existing NBN users upgraded to newer services after NBN Co changed the way it discounts CVC, but many have been unable to afford to upgrade or live in areas with lines that do not support higher-speed services. For those still on old plans, NBN Co has slowly eroded its service performance. It will now dump the dimension-based discount for CVC purchases in a move expected to impact all users currently signed up to a 12Mbps plan. More information on what options remain for users and how the changes will play out is accessible here.